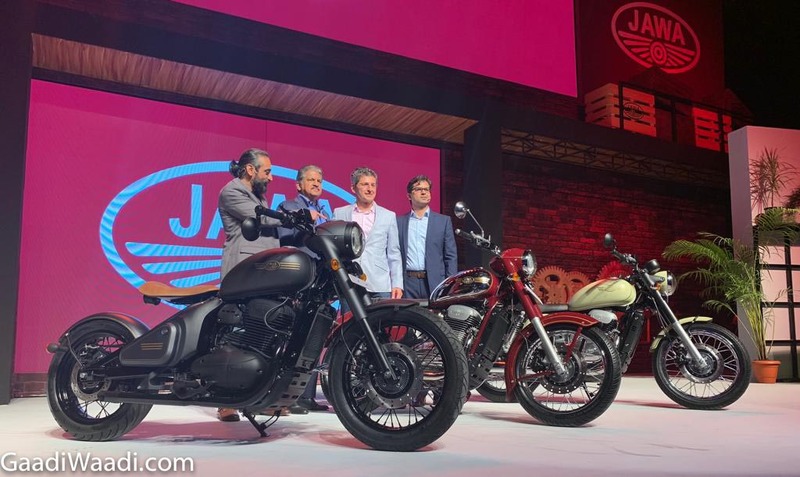 Mahindra’s acquisition of controlling stakes in Classic Legends reinvigorated hopes for the comeback of the iconic Jawa brand in India in late 2016. Fast forwarding two years, the company that was operational between 1950 and 1996 and had cult status is here to set the records straight and it targets a segment less explored by mainstream two-wheeler makers. 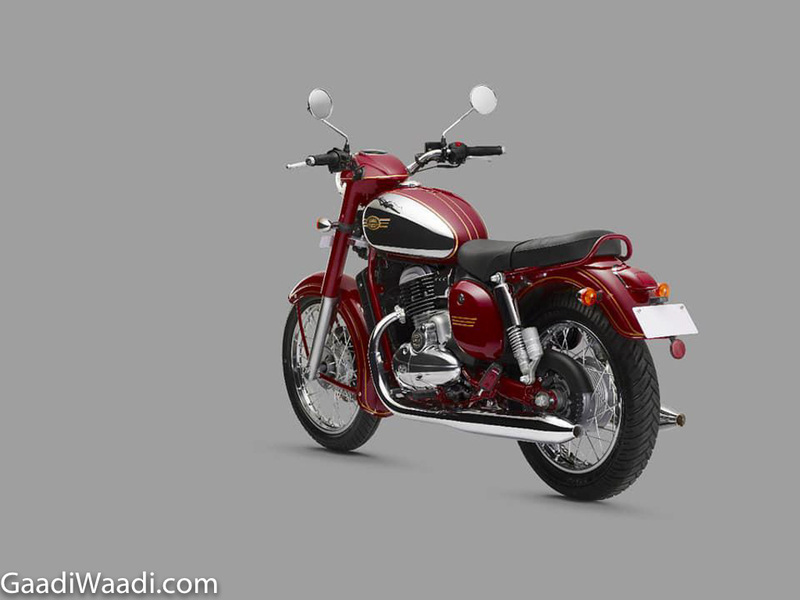 If there’s anybody with right nostalgic status to strongly rival the breed of Royal Enfield cruisers, it is Jawa! Before the production culminated in 1996, Jawa created some legendary models like Roadking, Classic, CLII, Deluxe and Monarch and harking back to the past the new models have taken every bit of design and emotional influence from them. 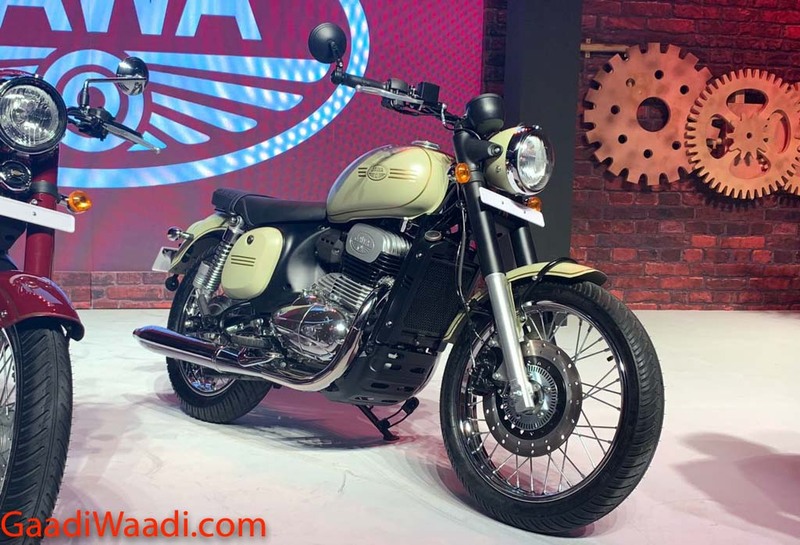 The motorcycles are powered by a 293 cc, four-stroke, single-cylinder, liquid-cooled engine which is capable of developing a maximum power output of 27 bhp and 28 Nm of peak torque and is connected to a six-speed transmission. The powertrain will ensure distinct exhaust note bearing strong resemblance to the old Jawas as the company has worked with a team of specialist sound engineers to achieve this effect. Built on a BSVI ready platform, the engine shares basic architecture with Mahindra Mojo’s 300 cc unit and it is claimed to offer generous mid range and a flat torque curve for consistent power and let alone not run out of breathe. 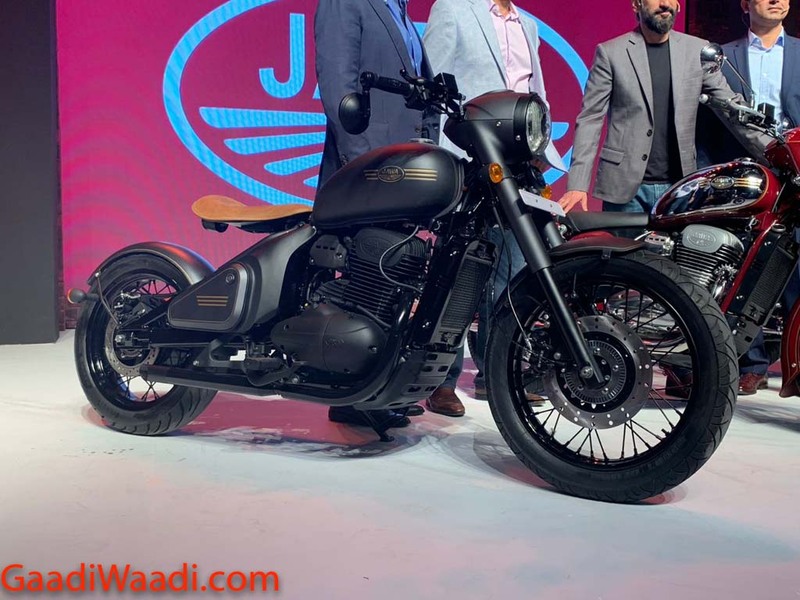 Three brand new models have been introduced – one is simply called ‘Jawa’, the bobber termed as ‘Perak’ and the other ’42’. Interestingly, the Perak has different engine specification as it uses a 334 cc single-cylinder engine to develop 30 bhp and 31 Nm peak torque. 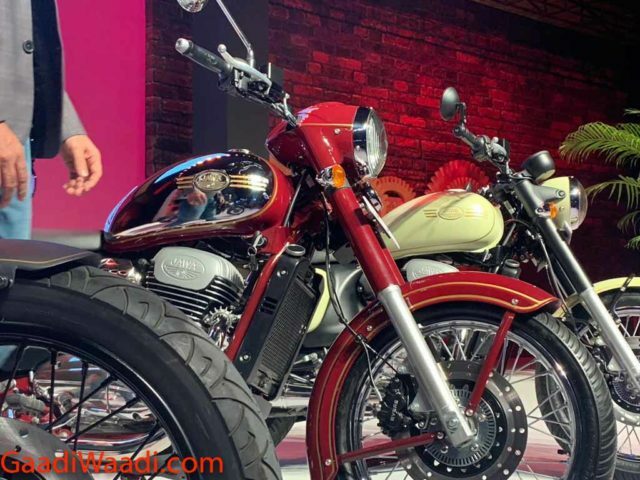 The ‘Jawa’ with classic roadster design has been the core of attraction for many due to its authentic design and the ability to take on Royal Enfield’s top-selling Classic 350 lineup with its retro presence. 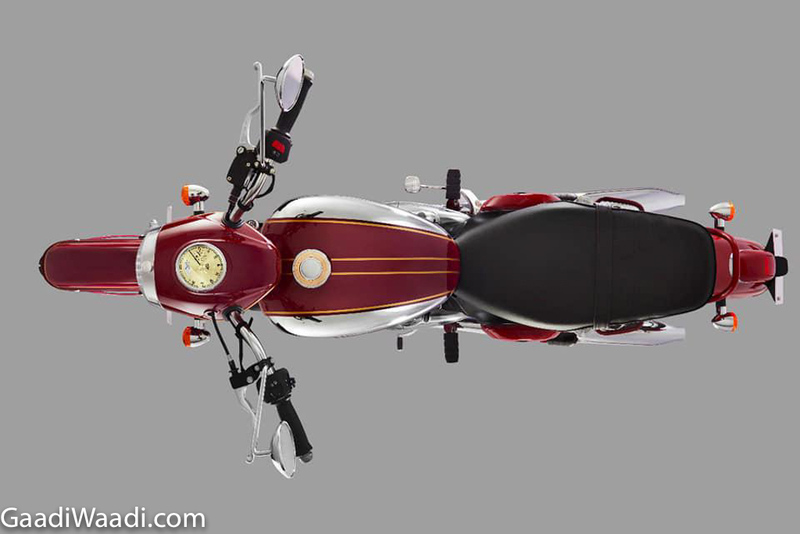 With a string of nostalgic waves and evocative feeling running through its veins, it comes fitted with round shaped headlight unit, a very sleek fuel tank design, handlebar position aimed at relaxed riding stance, dual exhausts each exiting on the sides, long seat for rider and pillion comfort and single-piece grab rail wrapping up the no-frills design. 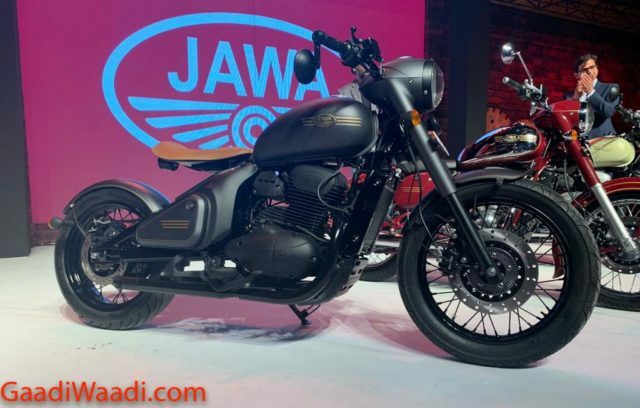 The Jawa Perak bobber, which only a few saw coming, has a stunning presence and is finished in matte black colour while the 42, on the other hand, has different rider’s triangle and is aggressive so to speak. The suspension duties are handled by telescopic hydraulic front fork and twin shock gas canister at the rear. A 280 mm front disc with floating caliper and 153 mm rear drum brake combine with single-channel ABS for braking purposes. 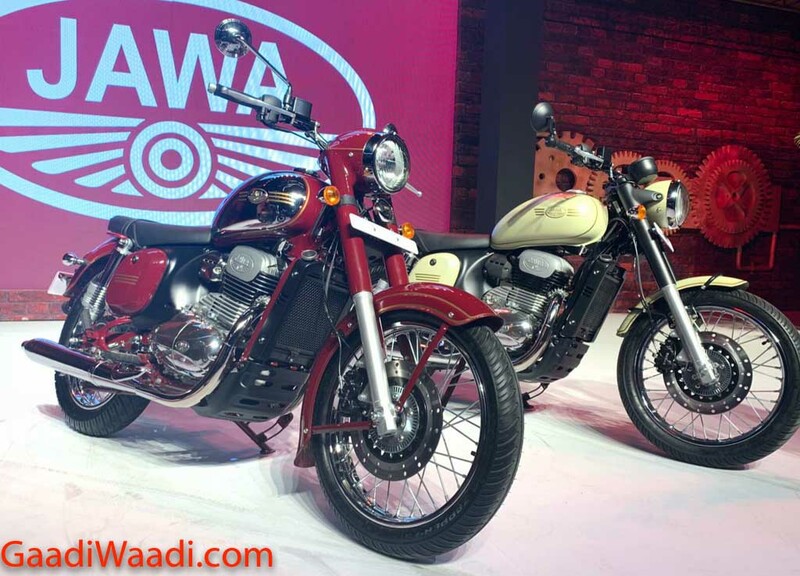 As for the pricing, Jawa has certainly nailed it against main competitor Royal Enfield with the ‘Jawa’ costing Rs. 1.64 lakh, ’42’ at Rs. 1.55 lakh and ‘Perak’ at Rs. 1.89 lakh (all prices, ex-showroom). The Jawa Perak will go on sale only later.